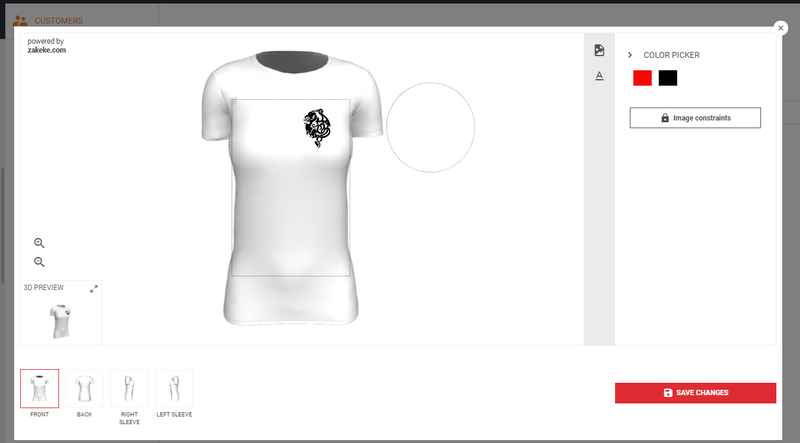 The Editing customer draft designs feature section (available only for premium users) allows you to edit draft designs saved by final customers of your store. In the User Interface you can select the customer code in the left sidebar and view the related designs. Also you can search for designs by tags or by name. After making all design changes, click on Save Changes to confirm them.